LandMiles is an app that looks set to change people’s perception towards travelling on land as the app rewards users for travelling. Available on both iOS and Android devices, they’re still in their beta stage with the official version set to launch in Q1 2019. If you’re a regular traveller, you’ve most likely come across this term called “air miles” which basically is a loyalty programme to encourage passengers to travel with a particular airline more. But most of us spend a lot more time travelling on the ground than flying. Hence, this Malaysian duo, Jin and Terry, had an idea to make everyone’s journey on land more valuable and enjoyable. The both of them then started LandMiles in April 2017. Both of the founders have a background in information systems engineering and the idea for LandMiles came to them when they were both stuck in Kuala Lumpur’s unforgiving traffic. The way LandMiles works is simple. Users just have to install the LandMiles app on their smartphones and just turn on the app when travelling with the GPS turned on. Every single km travelled by users (either by bus, car, train, bicycle or even walking) will be converted into 1 LandMiles Point. 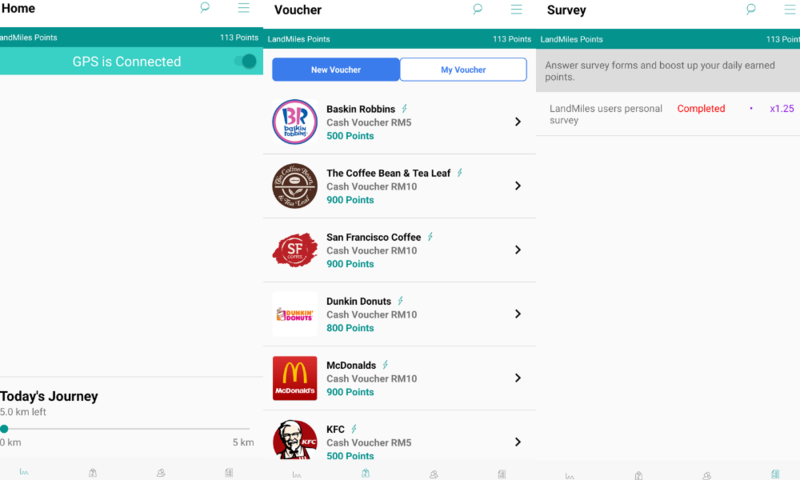 Users can redeem vouchers listed inside the app using the accumulated points. The LandMiles team sees an opportunity in turning a sour experience into a valuable one by offering lifestyle rewards for travelling on land. As of now, they’re servicing the platform to connect potential customers to merchants. From the merchant side, they have tried to engage and propose the concept to many of the merchants and even some international companies. “Fortunately, everyone was quite surprised and was interested with the idea. We even got support from Shopee by sponsoring us vouchers,” said Jin. The feedback received has been very positive so far and they’re putting their focus in developing the official version of LandMiles and are expected to release it in Q1 of 2019. They haven’t spent much on advertising the app as it was mainly promoted through Facebook; their current intention is to get beta testers and collecting their feedback. As the app is based off a users GPS, there are actually plenty of ways users can cheat the system to maximise the rewards. However, the team at LandMiles understand that and are prepared to prevent such a thing from happening. “We also have a set of algorithms at the server side to check and analyse the pattern of usage to determine any possibility of fake signals,” he said. Furthermore, the app also has some rules and limitations as users can only collect a maximum of 100 points per day and the quantity of vouchers is limited per user. As of now, LandMiles is not yet monetisable as they’re not at that stage yet. In the future, they might look at introducing advertisements in the app as a form of monetisation. 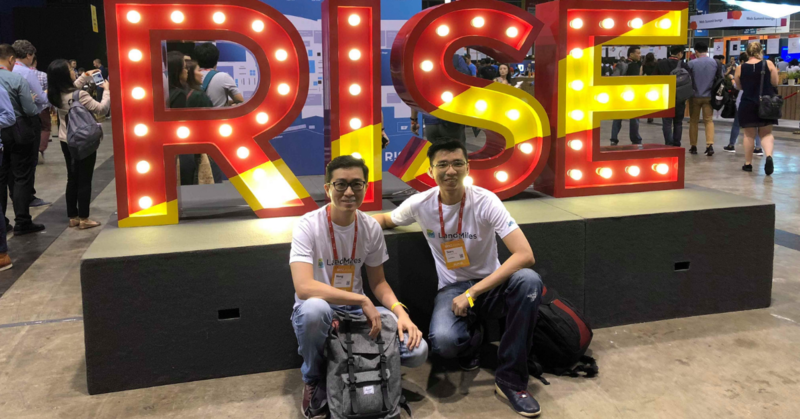 Being invited to RISE Hong Kong to showcase their app and also asked by MDEC to attend the Immersion Hong Kong Investors Networking Session was a huge stepping stone as it allowed them to share and introduce LandMiles to people around the world. As they set their sights on the global stage, they were keen to know how people from other countries would view the concept and fortunately they have been receiving positive reviews globally. “Which proves that not only in Malaysia but LandMiles also has a good opportunity to go globally and expand into other countries,” said Terry. If you would like test out the LandMiles app, you can download it on Android and iOS devices.